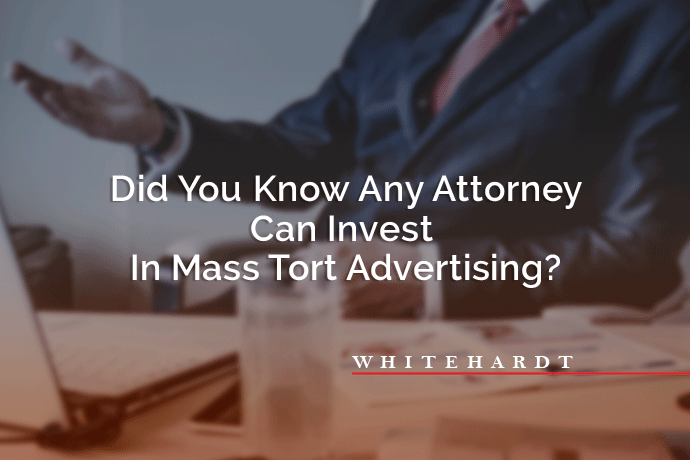 Home » Did You Know Any Attorney Can Invest In Mass Tort Advertising? 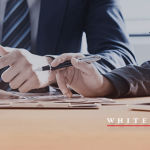 The Goldwater Law Firm is one of the biggest brands around when it comes to mass tort advertising, and using their resources can take your good return and turn it into an outstanding investment. Many attorneys are moving towards mass torts as a key area of practice and it can be extremely lucrative. However, you need to take the right steps to market your mass tort practice area and you’re your practice to the next level. Learn how referral programs like the Goldwater program allow a class action lawyer to invest in mass torts at your own pace, the ease of mass tort advertising, and how you can even pay directly for cases. Mass Tort cases, also called class action suits, have become extremely important over the past fifteen years or so. They serve a vital purpose in protecting the public from unscrupulous individuals and companies. Over the past two decades or so, there have been a rash of companies that are illegally, negligently, even intentionally selling drugs and medical devices whose dangerous side effects harm thousands of people. Those responsible for these criminal acts must be held accountable, and while a one-off injury case can net a single plaintiff several million in awards, class action suits can hit these companies where it counts. The right class action lawyer can really punish their bottom line and force them to start obeying laws, or shut down. What Are the Qualities of a Mass Tort Case? Mass tort lawsuits have certain qualities that are unique to them and require the right skill and knowledge to pursue. These cases have one defendant, but many plaintiffs, and for a law firm, it costs less to acquire each individual client as the number of clients for a case increases. This is partially because the cost of research and information gathering goes down—there are a lot of facts and legal issues in common across the board. Pursuing these cases is done in federal courts, and requires a national law firm—a class action suit isn’t prosecuted in a single state or jurisdiction. In addition, the discovery is consolidated across the board. Filing the case requires a court-approved short-form fact sheet, and the litigation is managed by a court-appointed plaintiff steering committee. Usually, these cases see a 5 to 7-year window for settlement. Why Become a Class Action Firm? Becoming a class action-focused firm offers a number of important benefits. It allows you to protect and defend consumers against unsafe medications, medical devices, foods, even consumer goods and services which carry harmful side effects or other dangers. These dangers are often not well advertised, the products don’t carry effective warnings and documentation, or they’re allowed to leave the factory defective. The only way to punish these companies is to bring legal action for such unscrupulous, unethical acts. When you pursue class action suits as opposed to individual injury cases, the process becomes much more economically viable to you, while increasing the size and scope of the case to more effectively punish the company. It also offers the opportunity to partner with other law-firms so that you can co-fund the campaigns nationally. Mass tort cases can not only be lucrative for your law firm, they can serve as a necessary bulwark against unscrupulous companies that harm thousands of people every day. However, you’ll need to engage in the right marketing and advertising to get your firm into the business. It’s essential to take the right steps to properly market yourself. The best way to do that is to sign on with a company that specializes in mass tort advertising. These firms can open the door to a new world of both profit and specialization for your firm while allowing you to protect the victims of these dangerous product manufacturers and vendors. 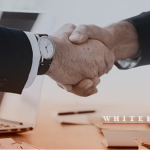 Whitehardt is the company behind the Goldwater Law Firm, among the largest brands in mass tort advertising today. With national media vendor relationships and outstanding resources available, we offer some of the best cost-per-lead options in the entire industry. We allow you to invest in mass torts at your own pace, and best of all, you can pay directly for cases while we cover the cost of ads! If you’re looking to focus on being a class action lawyer, the Goldwater brand can make the difference between dipping your toes into the pool and taking your investment to the next level. If you’re interested in taking your mass tort advertising to the next level as a class action lawyer. Contact us for a free consultation today!